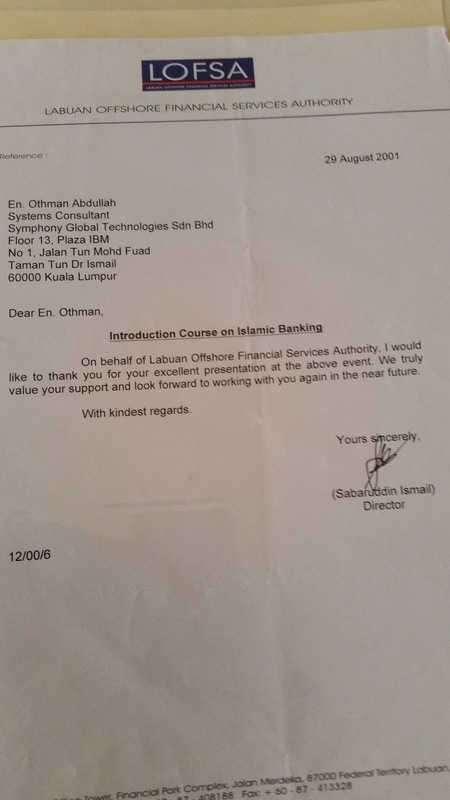 In 2001 I had the opportunity to present system aspect of Islamic Banking to a crowd in Labuan Offshore Financial Centre organized by LOFSA. It was a good experience although I was still quite new in the industry back then. If I were to present now, I can give much better presentation. 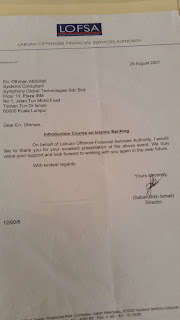 In any case, the presentation was well received by the audience that LOFSA sent me an encouraging thank you letter.